Since publication of the American Association of Physicists in Medicine (AAPM) Task Group No. 43 Report in 1995 (TG-43), both the utilization of permanent source implantation and the number of low-energy interstitial brachytherapy source models commercially available have dramatically increased. 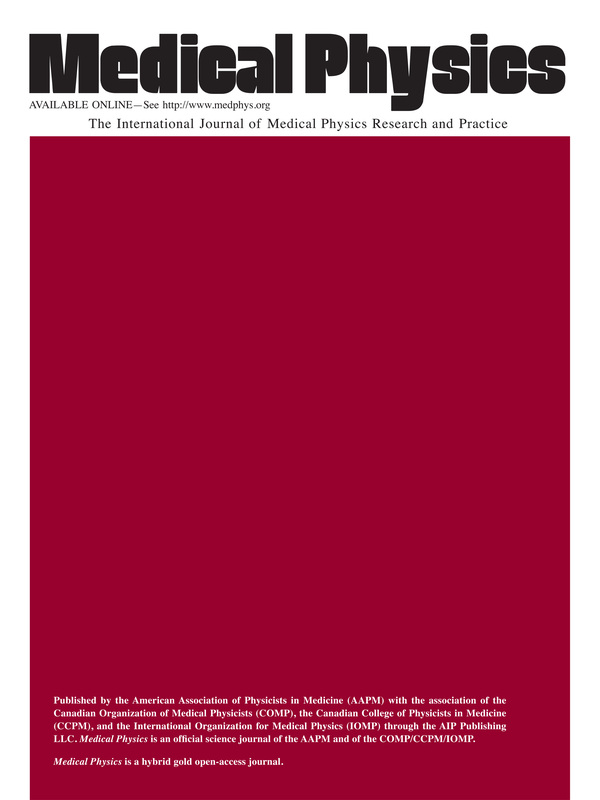 In addition, the National Institute of Standards and Technology has introduced a new primary standard of air-kerma strength, and the brachytherapy dosimetry literature has grown sub- stantially, documenting both improved dosimetry methodologies and dosimetric characterization of particular source models. In response to these advances, the AAPM Low-energy Interstitial Brachy- therapy Dosimetry subcommittee (LIBD) herein presents an update of the TG-43 protocol for calculation of dose-rate distributions around photon-emitting brachytherapy sources. The updated protocol (TG-43U1) includes (a) a revised definition of air-kerma strength; (b) elimination of apparent activity for specification of source strength; (c) elimination of the anisotropy constant in favor of the distance-dependent one-dimensional anisotropy function; (d) guidance on extrapolating tabulated TG-43 parameters to longer and shorter distances; and (e) correction for minor inconsis- tencies and omissions in the original protocol and its implementation. Among the corrections are consistent guidelines for use of point- and line-source geometry functions. In addition, this report recommends a unified approach to comparing reference dose distributions derived from different investigators to develop a single critically evaluated consensus dataset as well as guidelines for performing and describing future theoretical and experimental single-source dosimetry studies. Finally, the report includes consensus datasets, in the form of dose-rate constants, radial dose functions, and one-dimensional (1D) and two-dimensional (2D) anisotropy functions, for all low- energy brachytherapy source models that met the AAPM dosimetric prerequisites [Med. Phys. 25, 2269 (1998)] as of July 15, 2001. These include the following 125I sources: Amersham Health models 6702 and 6711, Best Medical model 2301, North American Scientific Inc. (NASI) model MED3631-A/M, Bebig/Theragenics model I25.S06, and the Imagyn Medical Technologies Inc. isostar model IS-12501. The 103Pd sources included are the Theragenics Corporation model 200 and NASI model MED3633. The AAPM recommends that the revised dose-calculation protocol and revised source-specific dose-rate distributions be adopted by all end users for clinical treatment planning of low energy brachytherapy interstitial sources. Depending upon the dose-calculation protocol and parameters currently used by individual physicists, adoption of this protocol may result in changes to patient dose calculations. These changes should be carefully evaluated and reviewed with the radiation oncologist preceding implementation of the current protocol.